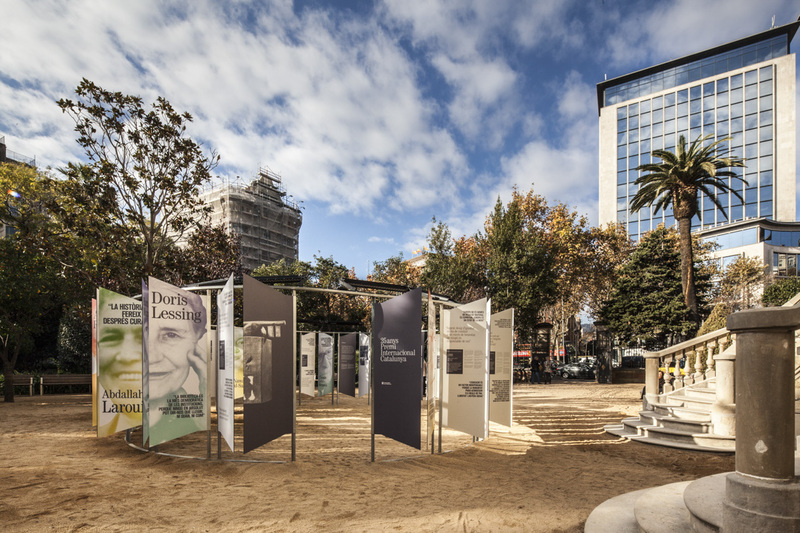 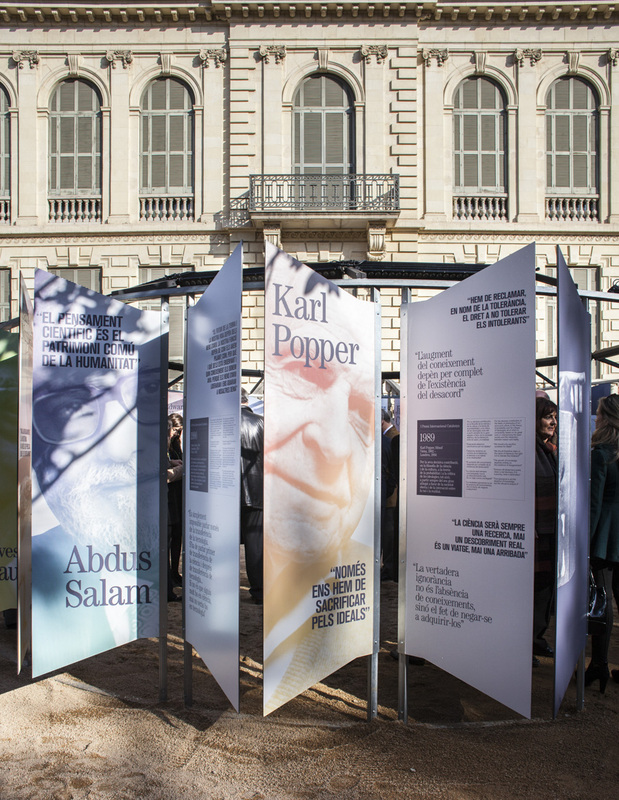 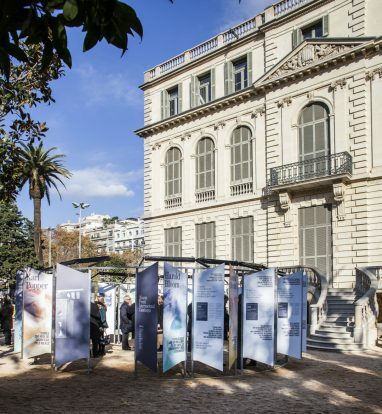 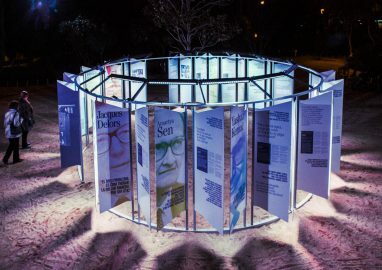 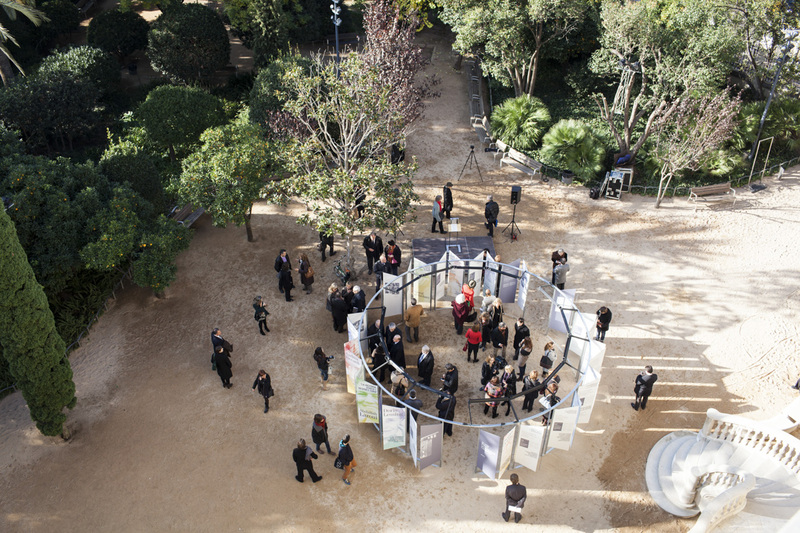 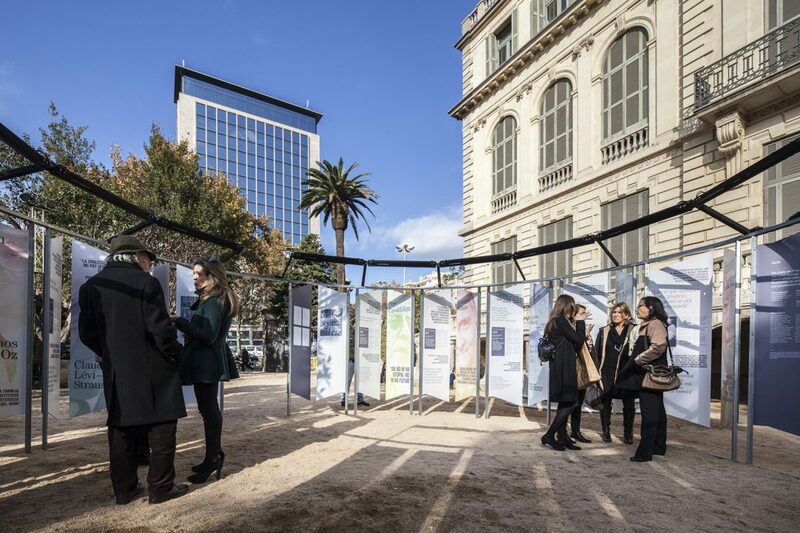 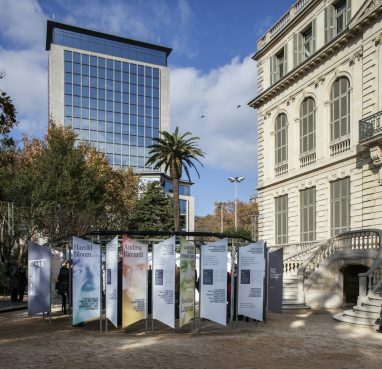 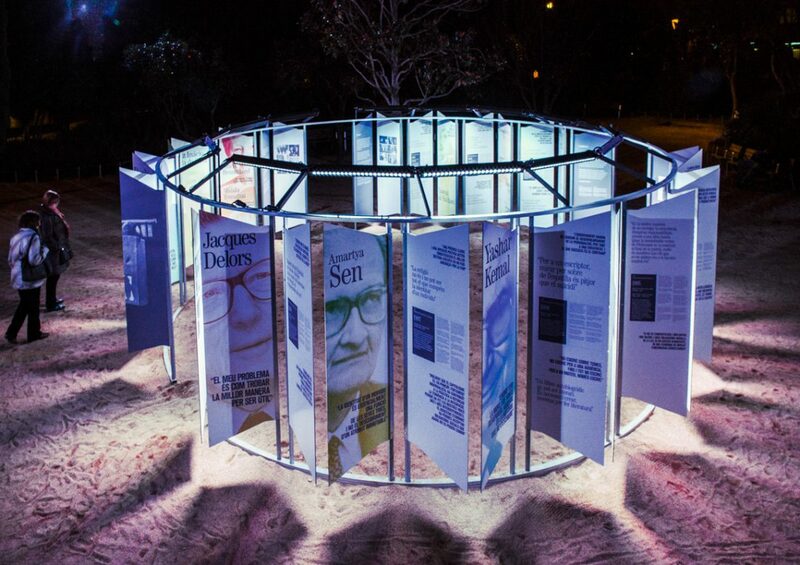 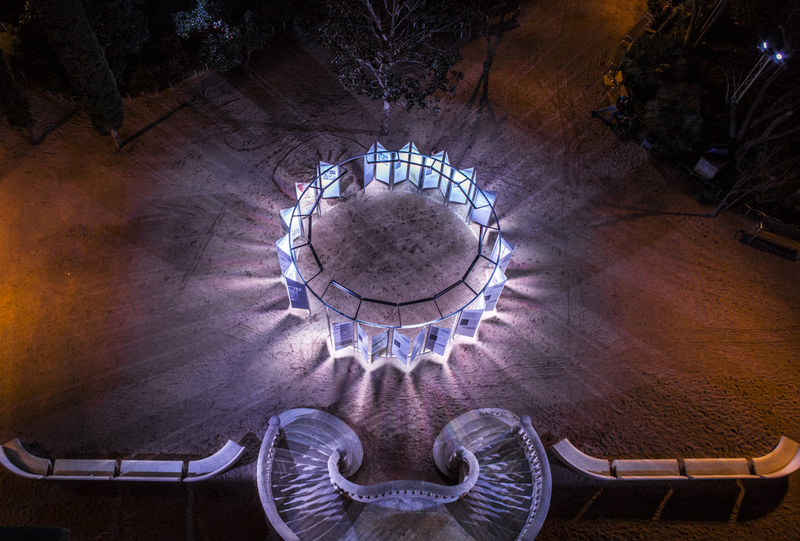 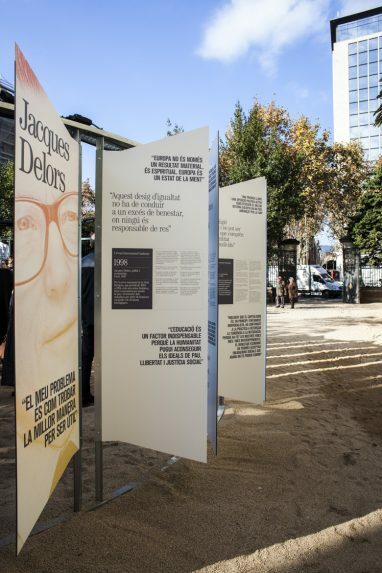 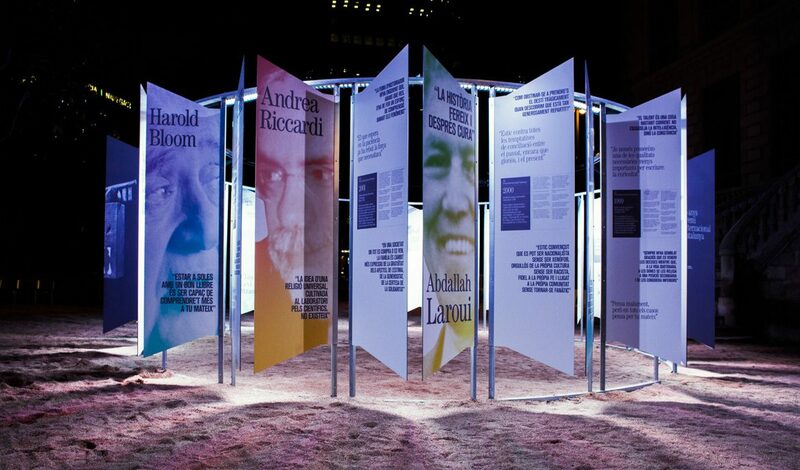 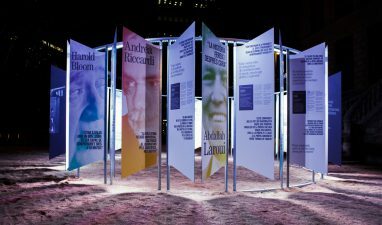 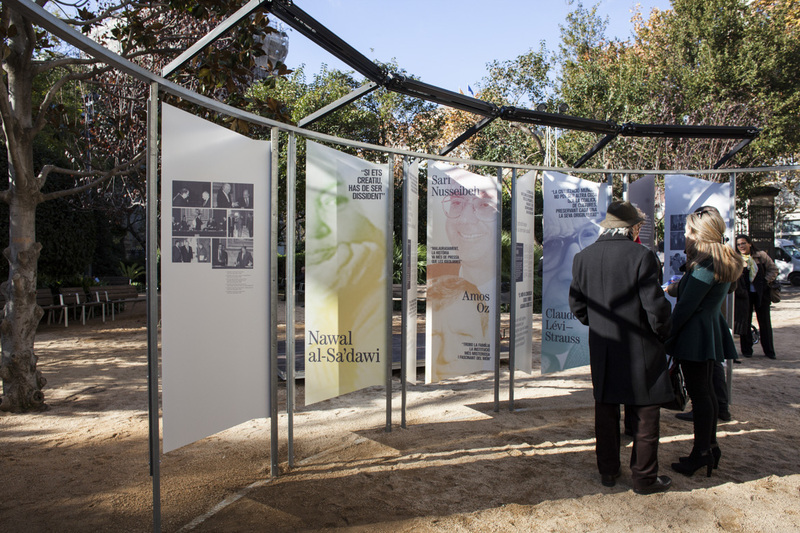 As part of the celebrations of the 25th anniversary of the International Prize of Catalonia, the pavilion installed at the Palace Robert Gardens in Barcelona, was conceived as a visual catalog of the various stakeholders involved in its long history. The original request, due to reasons of schedule and budget, was to design an exhibition at one of the smaller rooms of the Palau Robert; the will of the exhibition is to give visibility and recognition to the award. 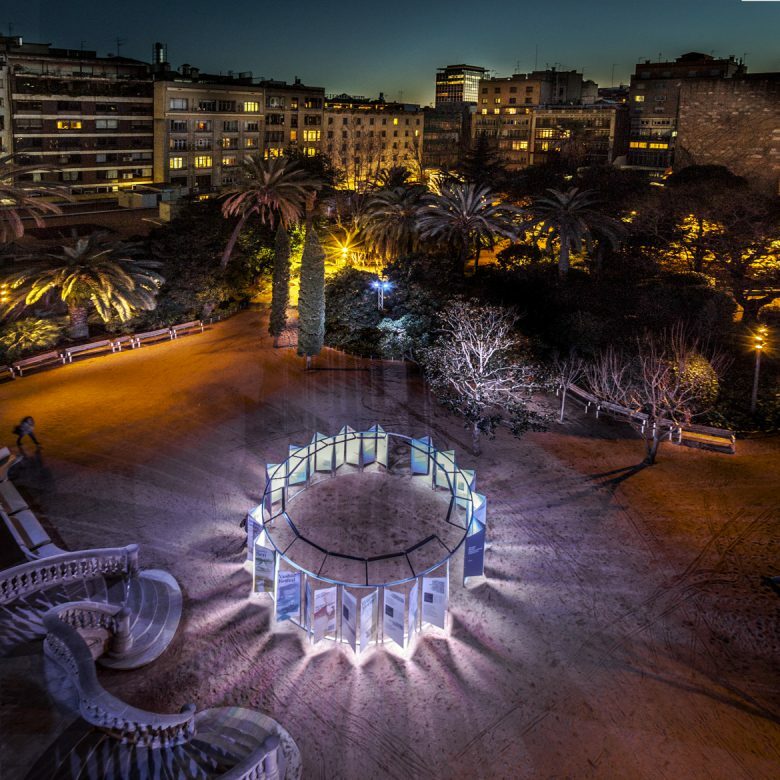 The project comes from the conviction that the small budget allocated can actually build a large and notorious space in a central location of the Palau . 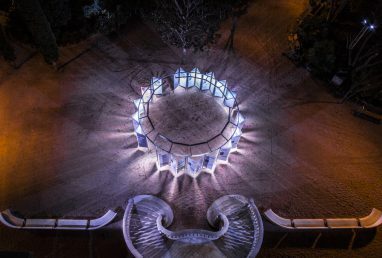 The challenge is to consolidate and qualify an illuminated and waterproof space, with the minimu possible installation.